Maduro has pledged to strengthen the brotherhood between the two countries. 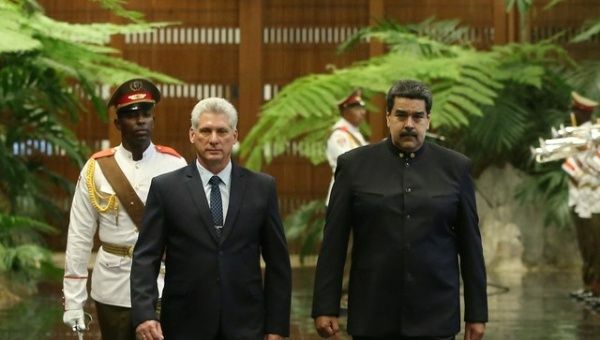 April 21 (teleSUR) Venezuelan President Nicolas Maduro became the first international leader to pay an official state visit to Cuba following the election of Miguel Diaz-Canel to the office of president. Maduro, who arrived in Havana Friday, has pledged to strengthen the brotherhood between the two countries. “I am leaving for Cuba to make a working visit, a fellowship visit to give a hug of solidarity, of support, of unity to the new President of the Council of State and Minister of Cuba, Miguel Diaz-Canel. We will meet to visualize the future and above all ratify the union between Cuba and Venezuela,” said Maduro before departing to Cuba. 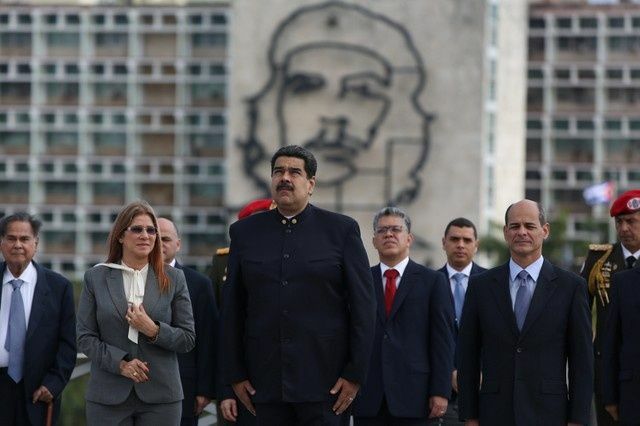 On Saturday, Maduro and Diaz-Canel attended a wreath-laying ceremony at a monument dedicated to Cuban National Hero and renowned Latin American literature writer Jose Marti in Havana before commencing talks at the Palace of the Revolution.